The Lucca is a cool to the touch versatile accent light providing a warm 2700 Kelvin shaft of light. The Lucca can be used as an uplight, downlight and step washer, adding a dramatic layer to any lighting scheme and enhancing architectural details, whether contemporary or traditional. Its compact size (55mm deep) enables you to use it even when recess space is tight. This energy efficient LED fitting also runs at an incredibly low 1w, saving money on you energy bills. 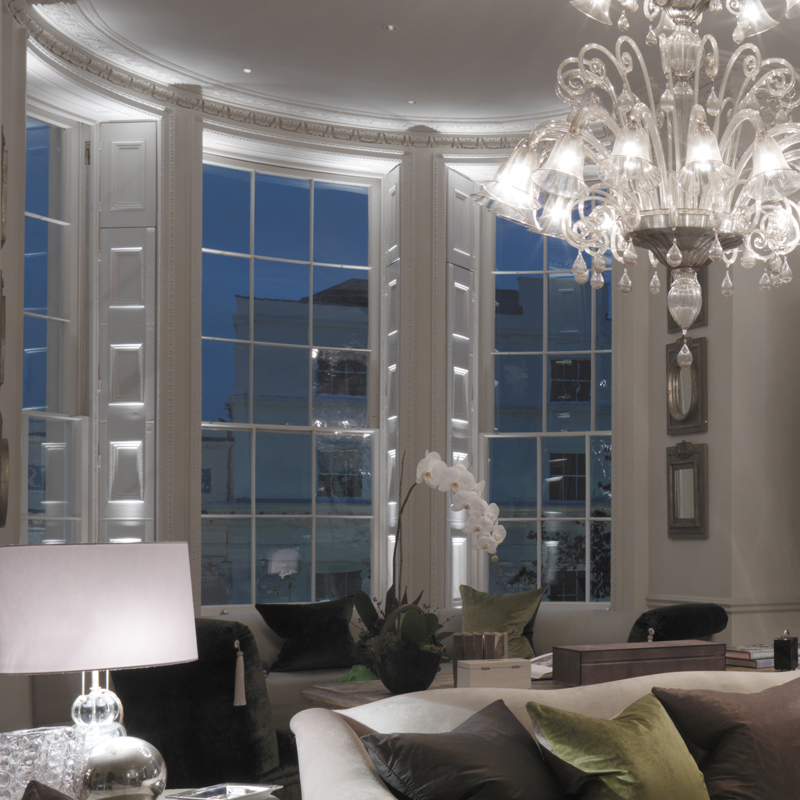 Here are some inspiring ideas of how to use the 1w Lucca in your home. Use Luccas to uplight shutter boxes to emphasis ceiling heights and cornice details, ensuring the window space is not lost at night. Washing light across each step and uplight the space beyond to draw your eye beyond. At 1w per fitting, this whole scene is lit with just 14 watts. 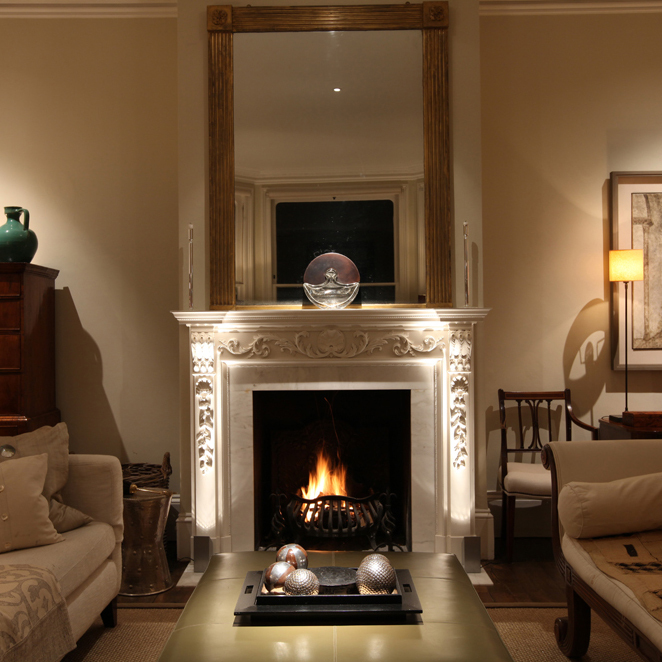 Draw the eye to the fireplace by uplighting the fire surround. This creates a focal point in the room even when the fire is not lit. 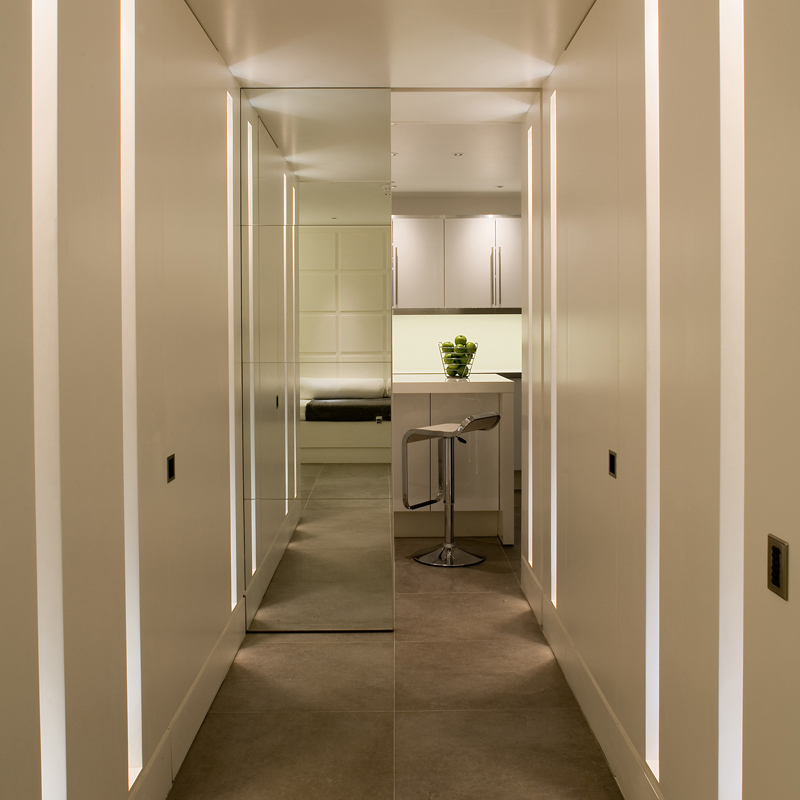 Inject life into a utilitarian space by introducing Luccas in long slot niches, to uplight and downlight widening the sense of space. 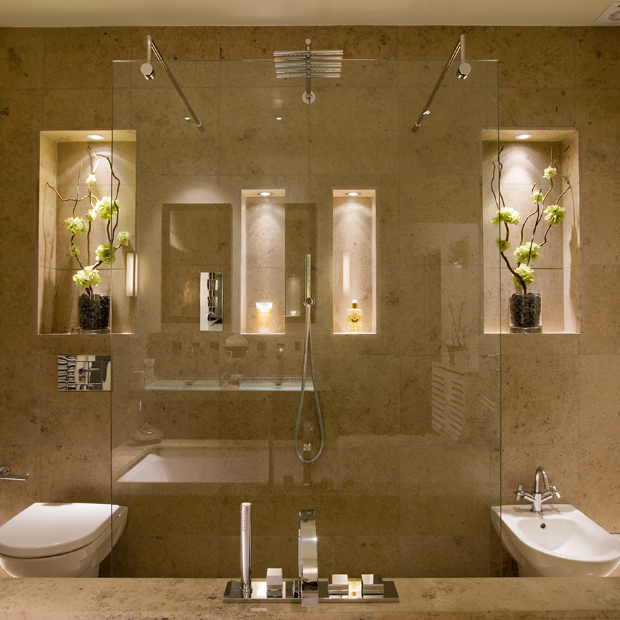 Add niches downlit with Lucca Externals to a bathroom to create depth and texture – an ideal secondary layer of soft lighting for late evening bathing. For more inspirational lighting ideas, visit the Project showcase by clicking here or visit the showroom. 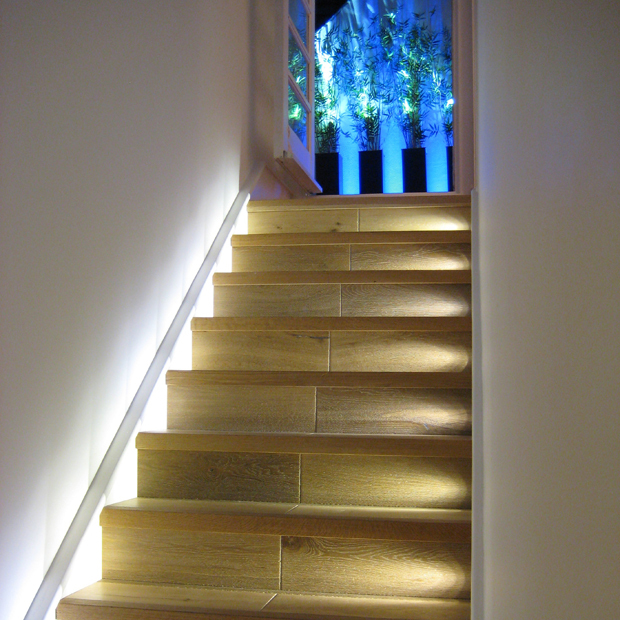 You can also book an appointment with one of our lighting designers by calling the Design Secretary on 020 7371 5400. For the full product details on the Lucca, click here.